The BBC made a raft of F1 announcements today, but the most important for fans in the UK was the schedule naming which races they will be broadcasting live. Just as last year, the BBC get to have ten races where they will have live coverage, and ten where they can only show a highlights package after the event has finished. This runs alongside the broadcast rights for Sky Sports, who show the entire season live in its entirety. 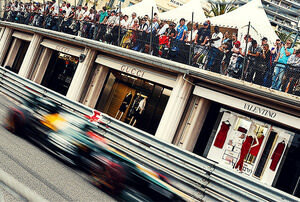 For the 2013 season, the live BBC coverage won't begin until the third race of the season, which takes place in April. They have some of the more important races, such as the British Grand Prix, the racing at Spa and the action from the historic Monza. However, they have sacrificed the Monaco Grand Prix this year, whereas this was previously one of the key events they wanted to make sure they secured the rights to. The final race of the year, the Brazilian Grand Prix will also be live, so that if the championship this season goes down to the wire again, the thrilling finale can be seen in full. A complete list of races and their respective UK broadcasters is below. The BBC have picked up the rights to the race at the as yet unconfirmed race in July, as well as the popular Japanese Grand Prix. Unlike last year, the Canadian Grand Prix will also be shown live in the UK. To me, this doesn't look like as strong a line up as it did in 2012, but that very much depends on what kind of racing action we can expect in the coming months. Missing out on live coverage for the opening races was tough this year, and it feels as though things can't really get going until we're all caught up in China. Equally, at the other end of the calendar, missing Abu Dhabi and the USA, at what could be a crucial stage in the season may significantly deter the casual fan from taking an interest. If you follow UK coverage, what do you make of this race selection and will it affect your F1 viewing decisions at all?